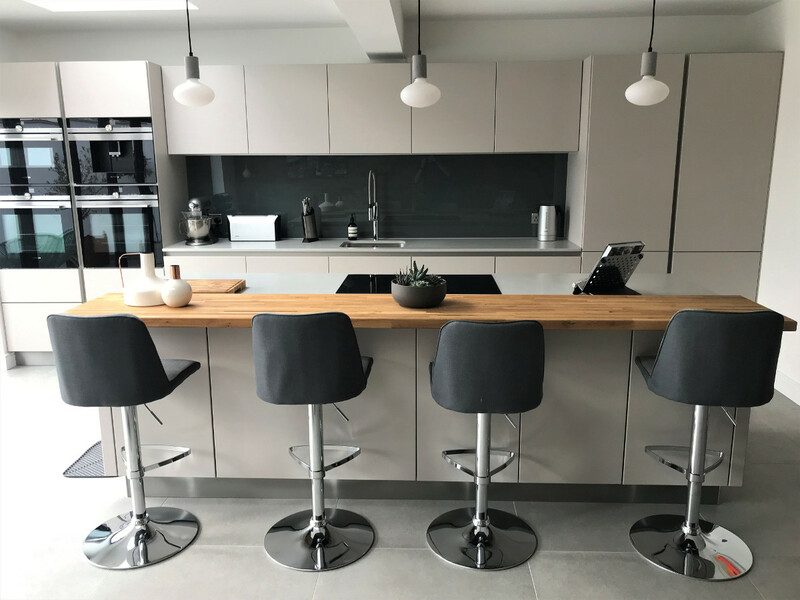 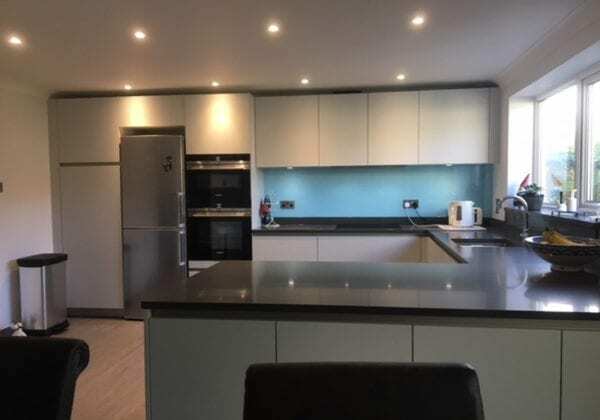 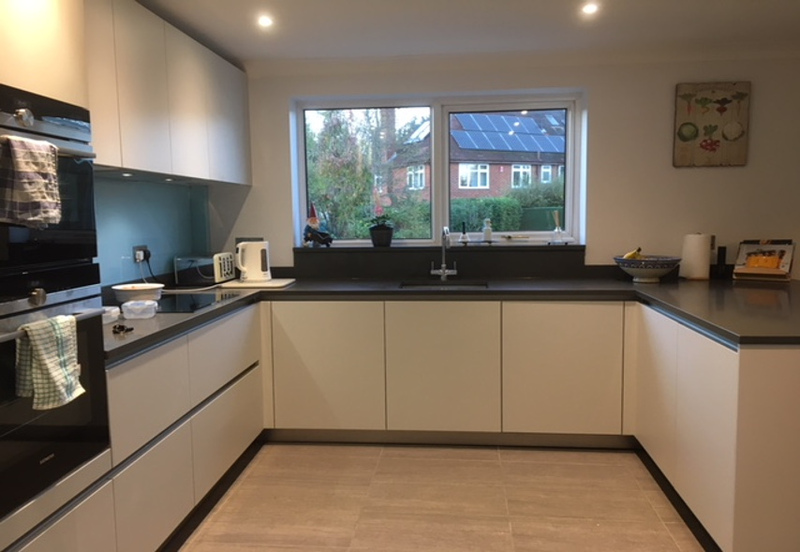 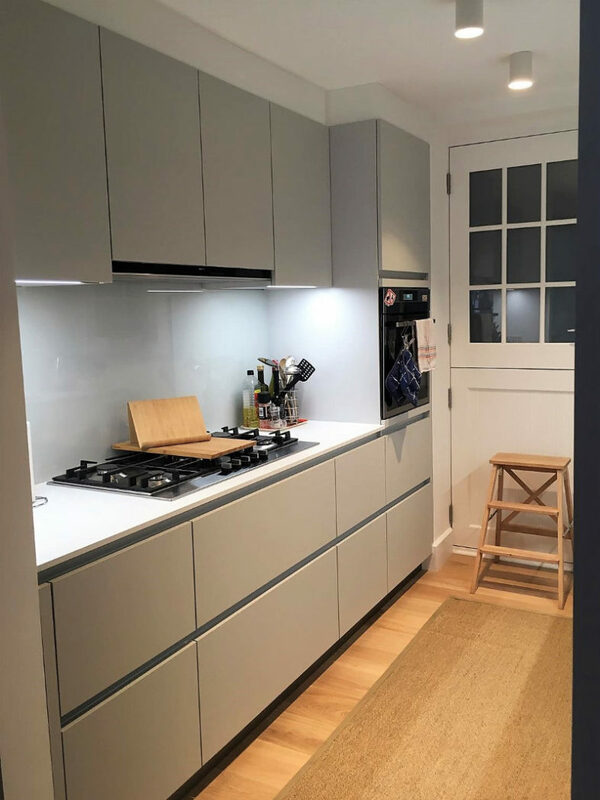 A big thank you to Anne and Mark Golynia for sending us these great looking photos of their recently completed Schuller kitchen, were very pleased you like it. 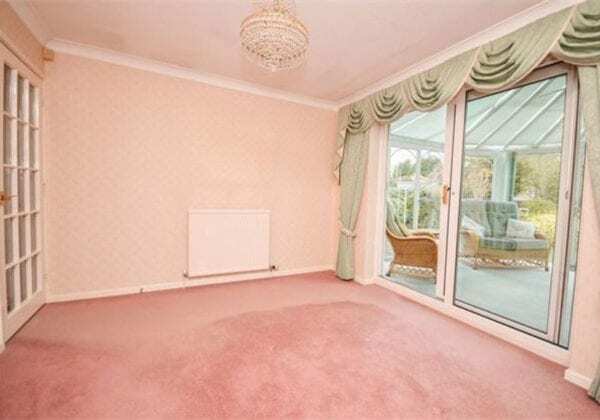 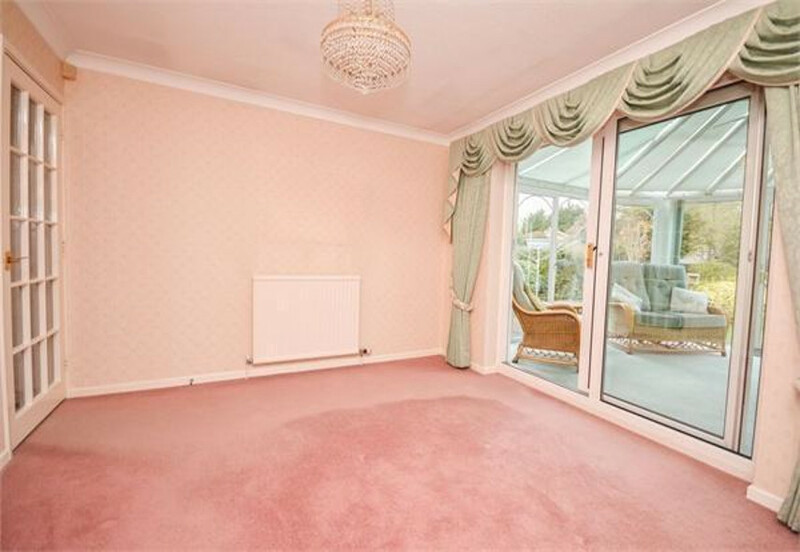 The pink and white images are of the old, inherited kitchen and separated diner, which although neat and tidy was very dated with an unnecessary partition wall where the oven run of units is which greatly restricted the space. 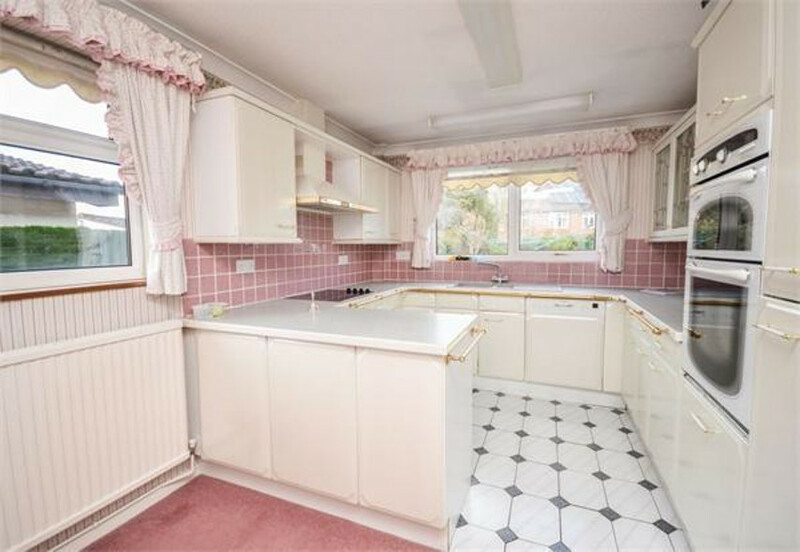 They decided to take the wall out and open the whole room up into one spacious contemporary open-plan kitchen diner. 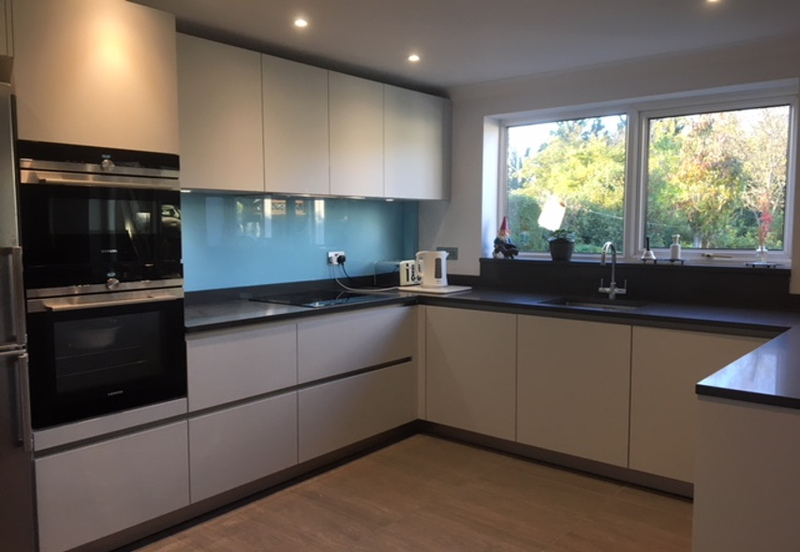 The units are Crystal grey from our C range, laminated finish with the rich, dark contrasting ‘Betong’ quartz stone worktops and mid-blue glass splashback.